Bradford Bulls have given professional contracts to three academy players. 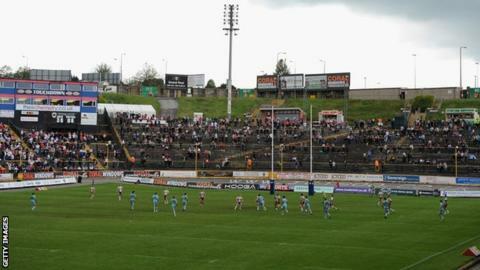 Full-back Curtis Naughton and back-row Oliver Roberts, both 17, have signed three-year deals at the Odsal Stadium. Meanwhile centre Sam Wood, 18, has penned a two-year contract. Bulls coach Francis Cummins told the club website: "We want to continue bringing our own youngsters through - they have shown the talent and desire to be given a chance." He continued: "It's going to be tough but it's also an outstanding opportunity for them to try and become Super League players, in the same way the likes of Elliott Whitehead, Tom Olbison and John Bateman did before them."